With walnut-grained shelves framed in stainless steel, the unique design of this bookcase is matched only by its impressive storage capacity. Sliding the shelves in opposite directions doubles their width, creating a mix of open and contained storage for everything from books to sculpture. The Slade bookcase has walnut-grained shelves framed in stainless steel. 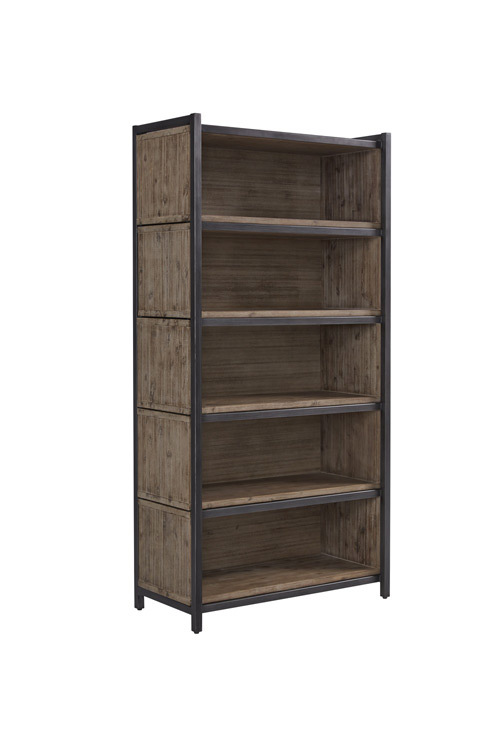 The unique design of this bookcase is matched only by its impressive storage capacity. Sliding the shelves in opposite directions doubles their width, creating a mix of open and contained storage for everything from books to sculpture.